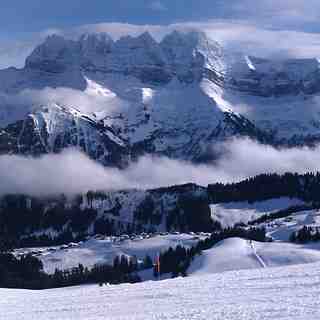 Champoussin in Switzerland is a medium sized ski resort with 7 ski lifts (4 chair lifts, 3 surface lifts) that offers skiers an impressive 840 metres (2756 feet) of vertical descent. 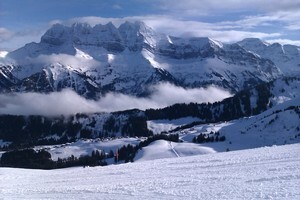 Champoussin has 173 acres of terrain over 15 pistes. Champoussin is best suited to intermediate skiers and snowboarders but there is some terrain for beginners and advanced skiers. We have no information about the existence of any cross country ski trails at Champoussin. 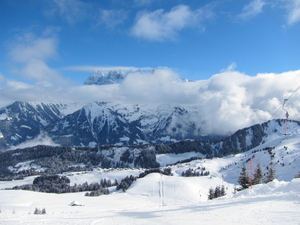 A small proportion of the pistes at Champoussin are covered by snowmaking. The closest airport is at Geneva but the transfer time is 1.5 hours. 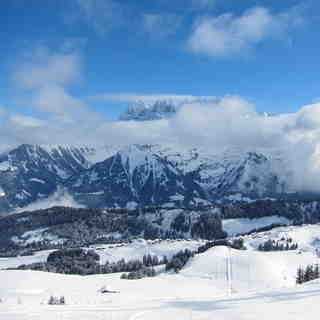 The nearest train station to Champoussin is at Aigle. There is accommodation located close to the pistes but we would welcome additional information about any hotels or chalets in Champoussin.